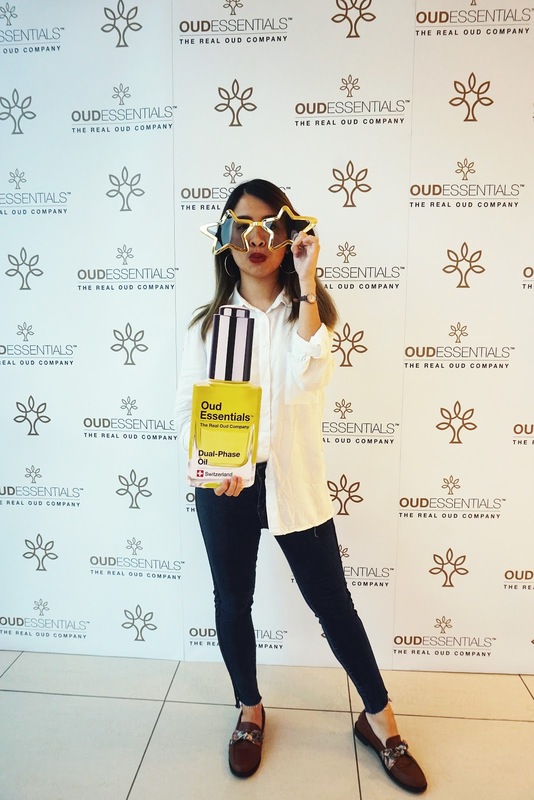 Last Wednesday, I am invited to a skincare workshop to learn about a new Swiss-based skincare brand, OUD ESSENTIALS. 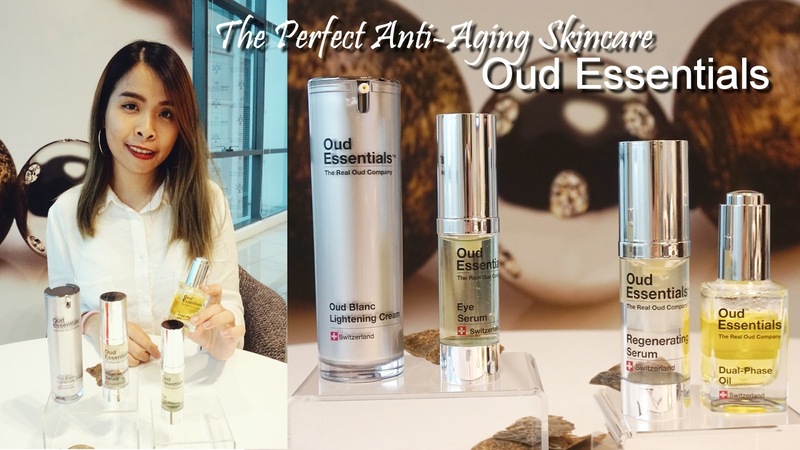 OUD ESSENTIALS, inspired by the world of fragrance, which now they decided to take on global skin care industry. OUD ESSENTIALS working together with a team of experts, which includes skincare industry professional Jean-Marc Dufat, have formulated and developed a range of organic, anti-ageing skincare products that brings together nature and science, featuring the brand’s unique patented ingredient "OudActive+™" - a super refined, purest of the pure essential oil that enhances both physical and spiritual wellbeing. It is the first time in skincare history that Oud is used as the main ingredient in a skincare line. It was really interesting to learn and understand how oud being produced and all of its benefit. 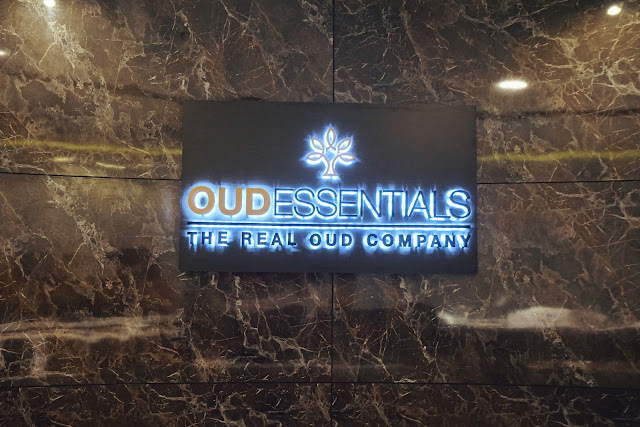 Not only that it was widely used in fragrances, but now Oud Essentials found out the benefits of Oud using in skincare as well. Oud Essentials Skincare line that contains unique patented ingredient "OudActive+™'. Oud, also known as Agarwood, is derived from the dark resinous wood of the Aquilaria tree, and the resin occurs in less than 7% of the trees in the wild, which makes pure Oud, therefore, extremely precious. 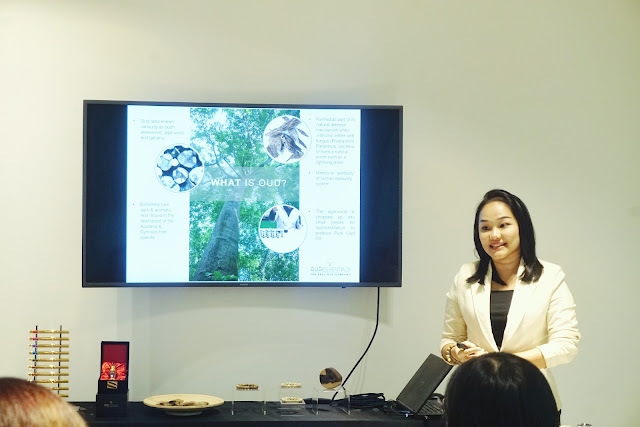 Since 2004, all species of the Aquilaria tree have been protected under the CITES (Convention on International Trade in Endangered Species of Wild Fauna and Flora) convention. Oud has been prized for its aroma, as well as healing and medicinal properties for thousands of years, especially in the Arabian Gulf, South Asia, Southeast Asia, and China. 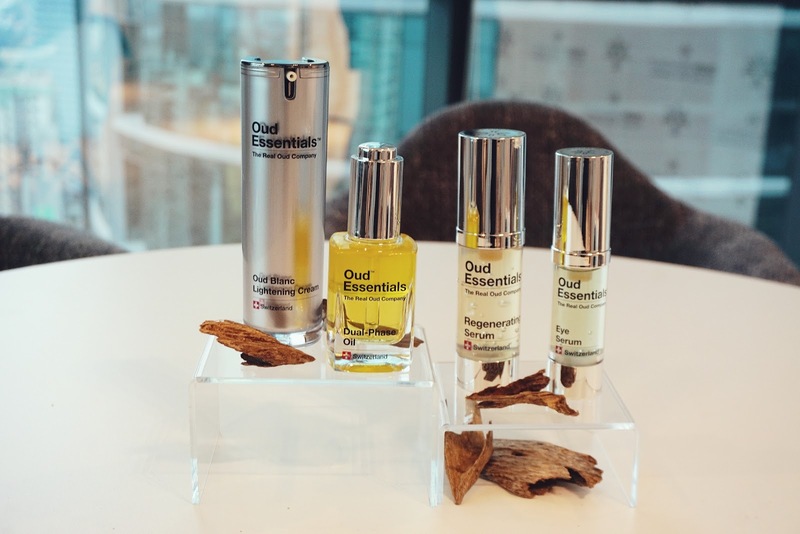 “Oud is rich in antioxidants, along with anti-inflammatory and anti-bacterial properties, which also have the ability to slow the aging process," says Nigel Mackay, CEO of Oud Essentials, Asia Pacific. 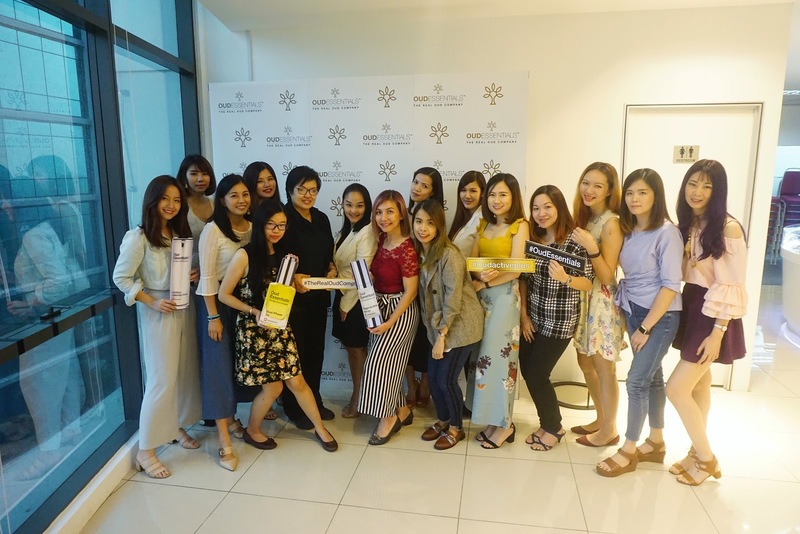 “Research is currently underway to establish its efficacy in scar tissue reduction and enhancing the tone, luster and overall health of the skin. 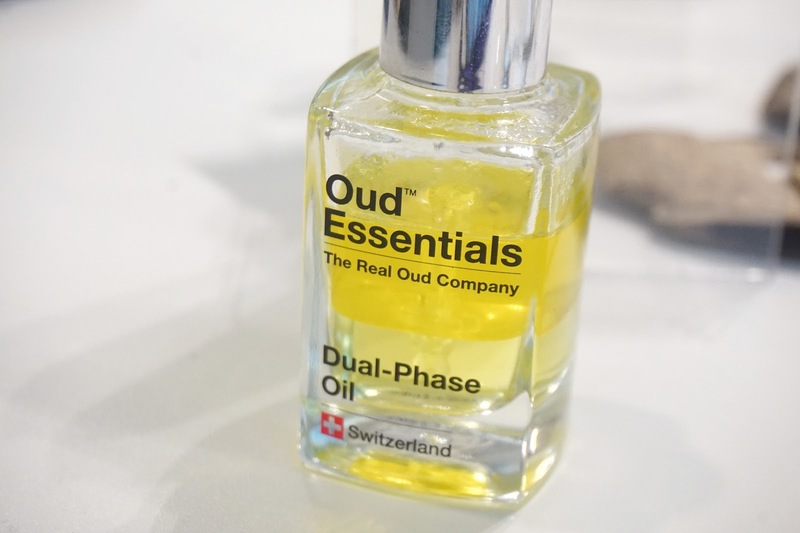 Oud Essentials' Dual-Phase Oil is a subtle combination of water-based ingredients working in conjunction with an oil-based formulation to produce the best of both worlds with a smooth and yet penetrative oil that has a delightful aroma, is easy to apply and extremely effective. 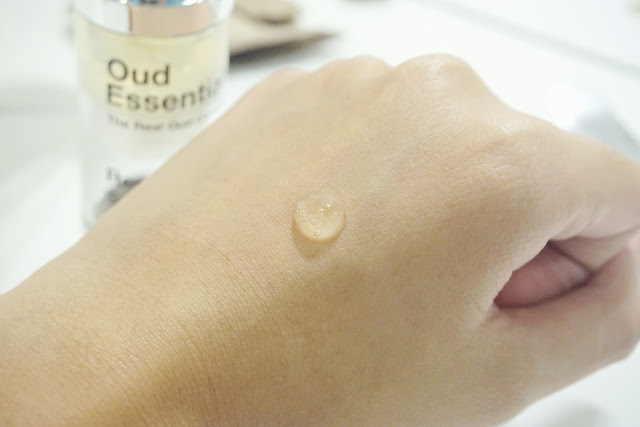 Luxurious Pure Oud, often called ‘liquid gold’, combined with an innovative blend of natural oils and minerals, perfectly balanced and formulated to provide just the right amount of moisture to keep your skin hydrated. Its vitamin-rich composition is nourishing and enriching. ✔️Revitalises moisturizes and improves skin texture and tone. It is recommended to shake well to mix both oil and water phase formula together before you use. I love how the tackiness of the products on my skin. It doesn't stay long enough but penetrates into my skin too. 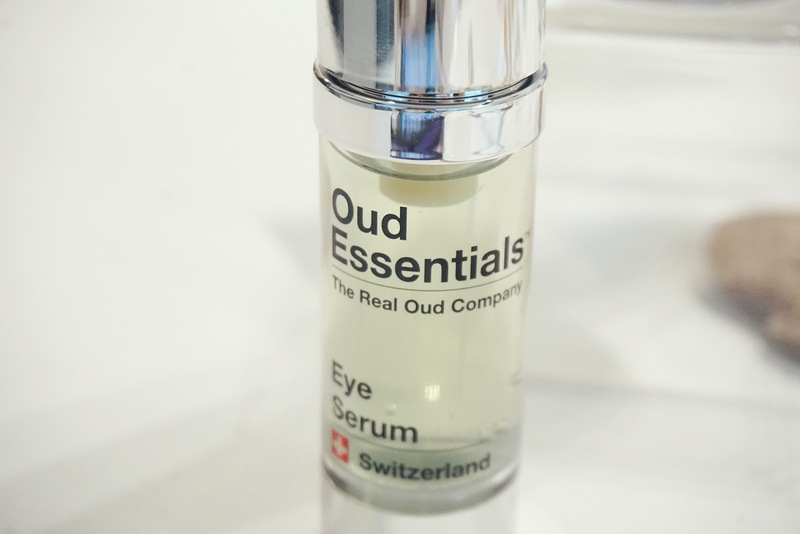 Instantly lifts, firms and moisturizes the most delicate areas on the face that come in luxurious formulation that enriched with Pure Oud Oil designed to lift, tighten, and reduce dark circles and puffiness in the skin around the eyes. With immediate effects, continuous use will yield significant and long-lasting results in the fight against aging. ✔️ Tightens the skin and reduces dark circles and puffiness on the delicate areas around the eyes. ✔️ Deeply moisturizes and replaces the naturally-occurring elastin and collagen that keeps the skin firm. ✔️ Visibly minimizes wrinkles and delicately smoothens the skin. I always know that I have a lot of fine wrinkles under my eyes area. This is a 3 in 1 eye serum that helps in skin tightening, skin lifting around the eye area and also works as anti-wrinkle eye serum. This Eye Serum also contains Butcher's Broom Extract which extremely effective in reducing the appearance of dark circles under eyes. 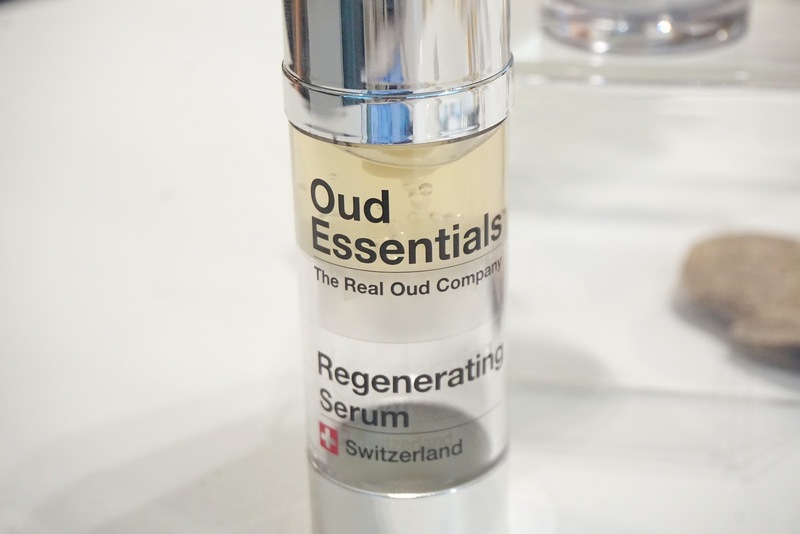 Pure Oud Regenerating Serum will give an instant lifting and tightening effect on the skin while helping to lift and firm for long-term results in reducing the signs of aging. One of the most anticipated products that I can't wait to use. Recently has been adding this serum to my skincare regime, can't wait to see how my skin texture improve when I use this! 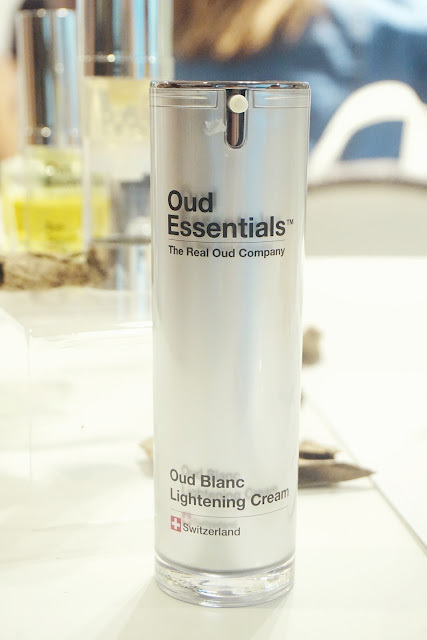 For lighter, brighter complexion Infused with Pure Oud Oil, creating a smooth, milky cream that melts into the skin to produce a noticeably silky ‘after feel’. Reduces the appearance of age spots, blemishes, and scars, giving the skin a new lightness and brightness. ✔️ A luxurious lightening cream for bright, luminous skin. ✔️ Lightens the appearance of pigmentation and brightens overall skin tone. ✔️ Smoothens skin texture and minimizes the appearance of pores. 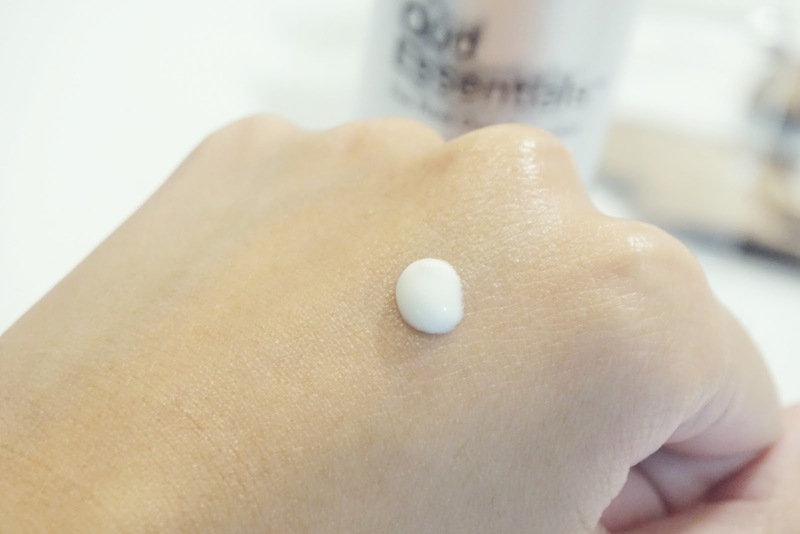 When we try it, it shows the immediate brightening effect on our skin! This Oud Blanc lightens the appearance of our skin pigmentation and brightens our overall skin tone, while at the same time smoothening skin texture and minimizing the appearance of pores too. 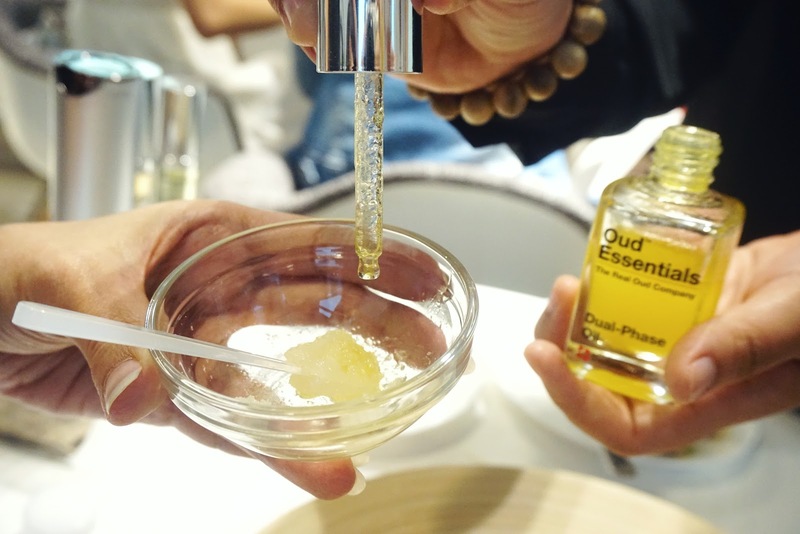 During the workshop, we also have the chance to DIY our own lip scrubs with the help of Oud Essentials Dual-PhaseOil! I have been using this once a while to scrub all my lips impurities too. Lovely group photo with all the girls and Oud Essentials. The OUD ESSENTIALS Skincare line is exclusively available online at OUD ESSENTIALS website and instore at Fragrance Du Bois Boutique, F6 Explore Floor, Starhill Gallery Kuala Lumpur. In conjunction with the Ramadan month and Raya celebrations, OUD ESSENTIALS is offering 50% OFF on your first purchase online at OUD ESSENTIALS website (for a limited time only). Apply promo code: RAYA2018 to receive a 50% discount on their range of products and FREE shipping when you sign up as a new customer and place your first order from 22nd May 2018 to 22nd June 2018. 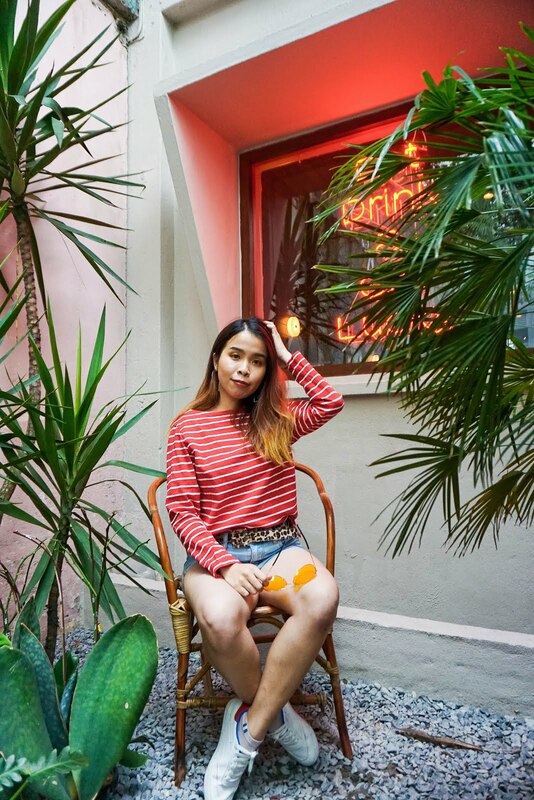 Wow..nampaknya produk ni macam bagus aje dengan sis..maklum sis dah masuk 50an ni memang perlu produk anti aging. Yes betul to try sis! OMG Sharon you got this oud! This is one of the luxurious skin care that is a hit in the Middle Eat and Europe! Share your oud review soon! Haven't try this brand yet. Seem promising thou. Can't wait to share the results!